The Dallas-Fort Worth metroplex is the fourth-most populous metropolitan area in all of the United States, and it is a trend-setter for the rest of the country. It’s well known that Dallas and Fort Worth residents take great pride in their homes, yards, and landscapes. 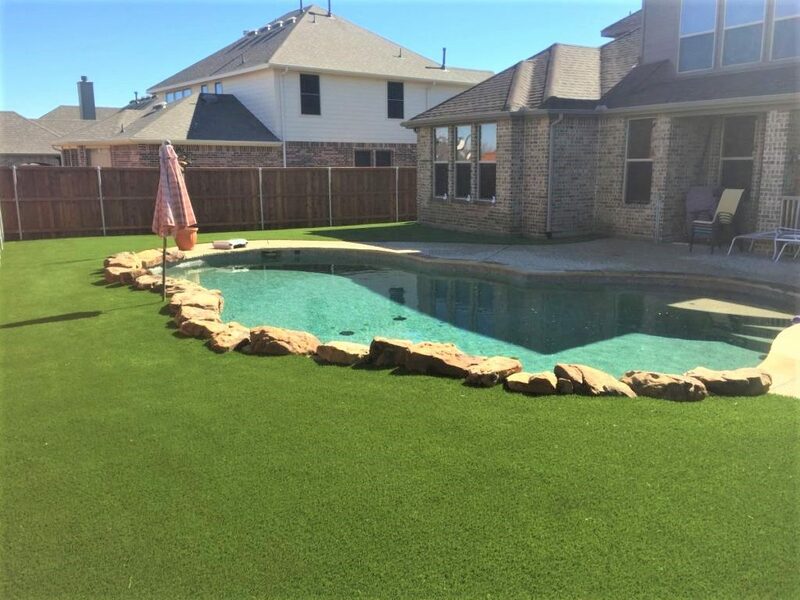 As a result, more and more homes and business throughout Dallas and Fort Worth have decided to turn to artificial grass. The results speak for themselves. While their neighbors are melting under sweltering summer temperatures, artificial turf owners can sit back with a drink on the porch, relax, and enjoy their luxurious, low-maintenance, high-efficiency turf. 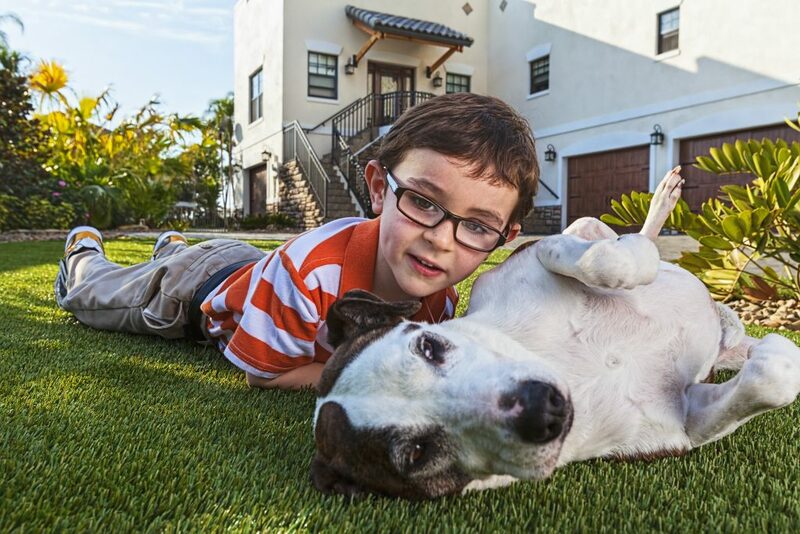 Artificial grass is safer than natural grass for children pets, and it’s easy to clean, too. With today’s turf technology, artificial grass trumps the alternative in every way. they might as well be a walking ball of mud. Add in a few kids, and it can be impossible to keep your house clean. With artificial grass, you don’t have to worry about any of that. When it rains, superior drainage technology allows water to flow directly through each layer of turf without ever pooling on the surface—guaranteed. This keeps your home free from disease-carrying pests that tend to gather around pools of water. A lot of Dallas and Fort Worth homes have yards full of gravel and mulch that constantly scatter and create holes. 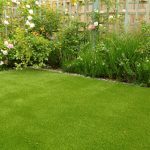 It’s even difficult to keep natural grass yards free of holes, ruts, divots, unseemly pathways, and other unsightly deterioration. If you own a home, these problems can be annoying and embarrassing. If you own a business, someone catching a rut and injuring themselves can be costly. Artificial turf can be installed on uneven surfaces to create a smooth, soft surface. Each blade of artificial grass is engineered to cushion falls and provide uniformity and create a solid grip to prevent slips. As an added bonus, your business will have the appearance of a well-maintained, professional lawn without paying for a groundskeeper. 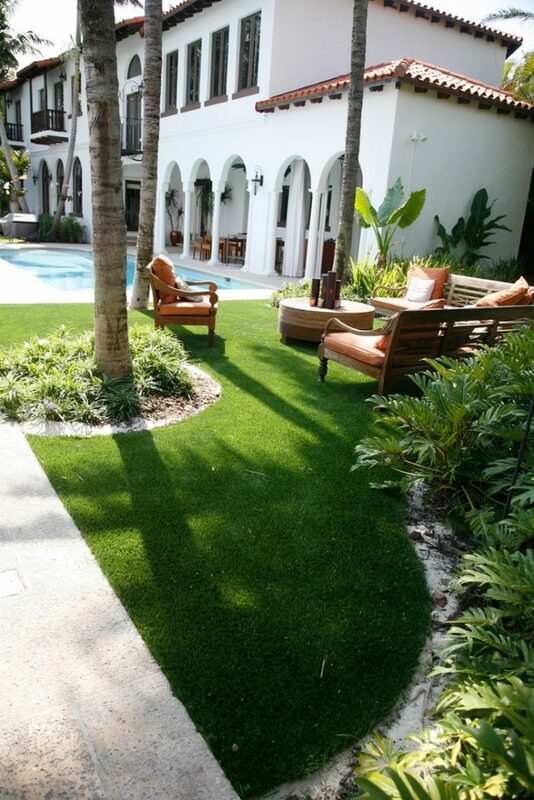 With advancements in turf technology, artificial grass has never looked more natural. With varying blade heights colors, and styles, it is almost impossible to distinguish natural from artificial. 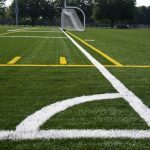 You’ll also be able to save on water costs from running a sprinkler in the dry season, and as a bonus, some townships and cities provide tax incentives for water conservation for each square foot of artificial turf in use, so you’ll be saving money in more ways than one. reason to get artificial pet turf. You already know that artificial pet turf can keep your furry friends clean, but how will your pets affect the cleanliness of your turf? Luckily, it’s simple to clean up after your pup. It’s easy to clean and deodorize, all you need to do is scoop pet waste like you normally would, and hose off your turf for added cleanliness. Urine will drain quickly and easily with modern artificial pet turf, so minimal maintenance is needed. Artificial grass is created with anti-microbial agents that kill odors and prevent bacteria from forming. These built-in agents are designed to keep your lawn odor free and clean year-round. If your dog has a favorite spot to mark and you want to go above-and-beyond, you can give it a quick rinse and wash with vinegar. As far as safety goes, artificial pet turf has no competitor. You’ll never need to spray any dangerous weed-killer, pesticides, or other chemicals that can hurt your pets, and you’ll never have to worry about fleas or ticks invading your yard to find a new home on your dog. time mowing your lawn, spraying for weeds, or buying expensive fertilizers? You won’t have to purchase heavy equipment like lawnmowers and tillers, which results in instant savings. That doesn’t even mention the long-term costs on fuel, oil, and repairs that you’ll never spend a dime on. With all of your new-found time and money, you’ll be able to take advantage of all the unique attractions that the metropolitan area provides.